Firstly I would like to say thanks to everyone who bought the Entertainer 2018 App using my promo code from December 2017 – January 2018. You have all been entered into the draw to WIN the GoPro Hero 6, Phantom 4 Drone and Amazon Echo smart speaker! Keep an eye on my Facebook Page and become a fan [here] to see if you were one of the lucky winners. But now for Phase 2 details and this one has something special for those of you with the travel bug! That’s right folks. The Entertainer is still offering R100 discount (Cape Town & Durban) and R200 (Johannesburg) off their usual app price from 1 February – 31 March 2018. To celebrate Phase 2 they have given me an extra incentive to offer you, and it’s pretty darn awesome! 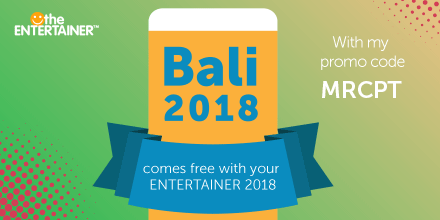 Purchase the Entertainer 2018 app for your South African city using my promo code: MRCPT and get the Bali 2018 App absolutely FREE! 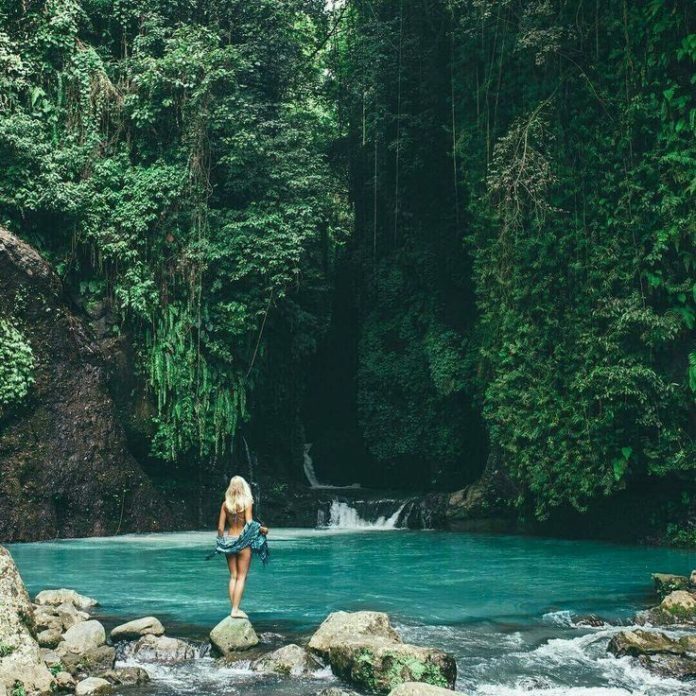 Bali is one of the most popular tourist destinations for South Africans at the moment, and, there are some epic flight specials which you can find online with TravelStart, Emirates, Qatar Airways and more! I found one this morning that was R6,250 return with a maximum stay of up to three months. Not too shabby to think that most of your food, entertainment and accommodation could be buy one get one free when you have the Bali 2018 App too. Click [HERE] to purchase your app for any South African city and get the Bali 2018 App FREE! Remember, you can ping deals to friends who might be traveling to Bali this year, or simply share your login details so they can use the deals while they are there. I have made a short list of my best deals from the Bali 2018 App to give you an idea of what deals you will be unlocking by purchasing the Cape Town, Durban or Johannesburg apps for 2018 below! Do I even need to explain this one? 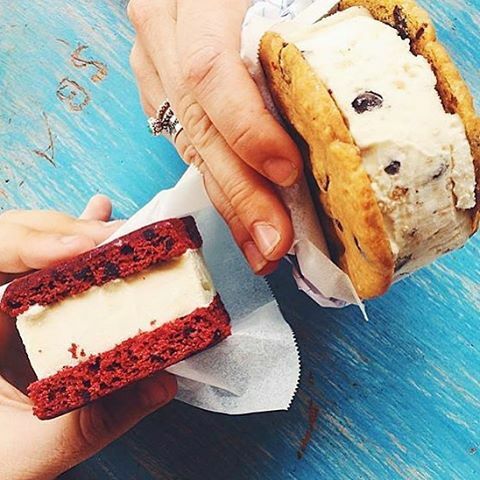 They serve up the best ice cream, red velvet ice cream sandwiches and brownies that are worth writing home about! Nothing better than a refreshing treat after a surf or beach day in that hot climate! This one doesn’t need any introduction. A global name in the restaurant scene with good chow, great cocktails, good vibes. loads of foreigners to mingle with, music and memorabilia to pick up to remember your visit. The Hard Rock Café is a no brainer on the Bali 2018 Entertainer App and have both main menu food items, as well as beverages on the Cheers App on offer! 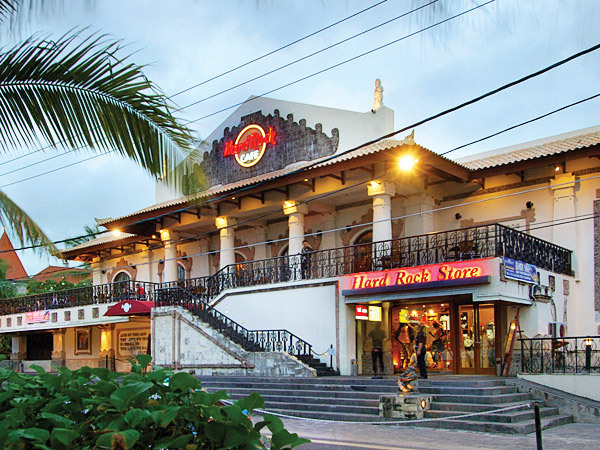 What would Bali be without a visit to a famous beach bar? They serve up great food from looking at their menu, delicious cocktails served in fresh pineapples and as you can see above, the venue is second to none! The have their main menu items on the app. 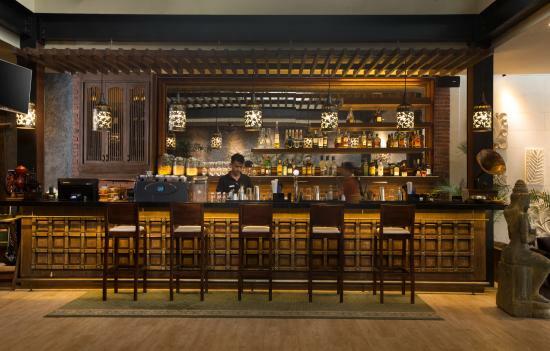 Located at Plataran Hotel & Spa in Ubud, this restaurant and bar is well loved for their traditional Indonesian and Asian cuisine and Western comfort food. 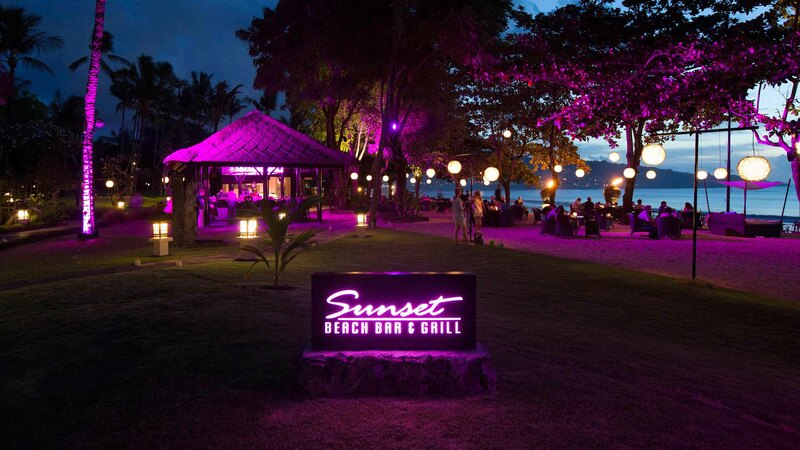 After dark you can enjoy their exotic cocktails crafted from Bali’s fresh traditional ingredients. The best part, they have both their main menu items and drinks on the Cheers App! Buy two cocktails and get two free was what caught my eye. 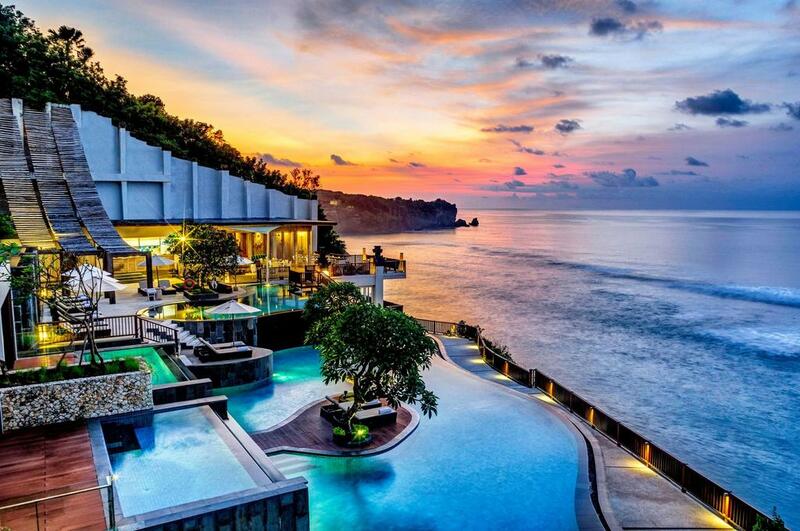 This world class spa and resort is situated in the popular surf city of Uluwatu and offers some fantastic specials for those times you feel like relaxing, or winding down after a long surf! 50% discount on a 90 minute full body massage is what caught my attention, and the ladies might also enjoy the 50% discount on a manicure or pedicure!